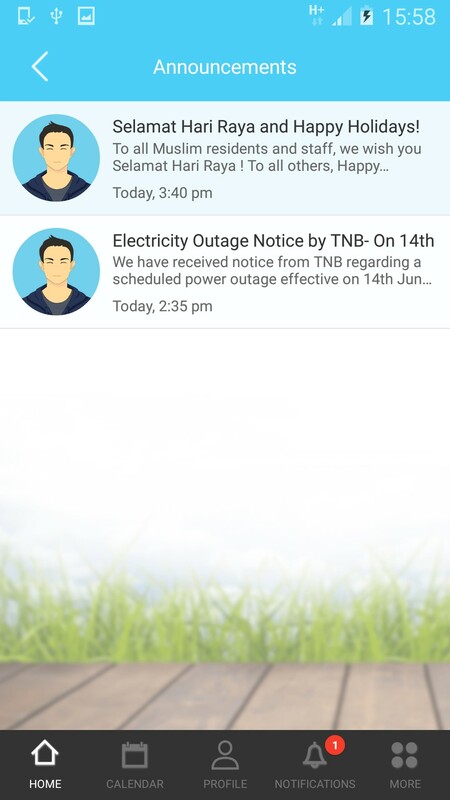 The Announcement feature in i-Neighbour functions like a general notice board for the community. It is designed solely as a way for Admins to share information (e.g. 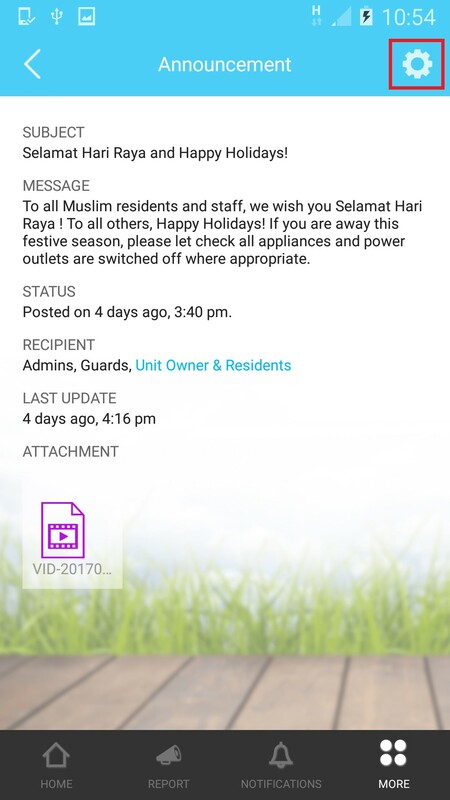 festival greeting, water/electricity disruption and etc.) and not for two-way communication. 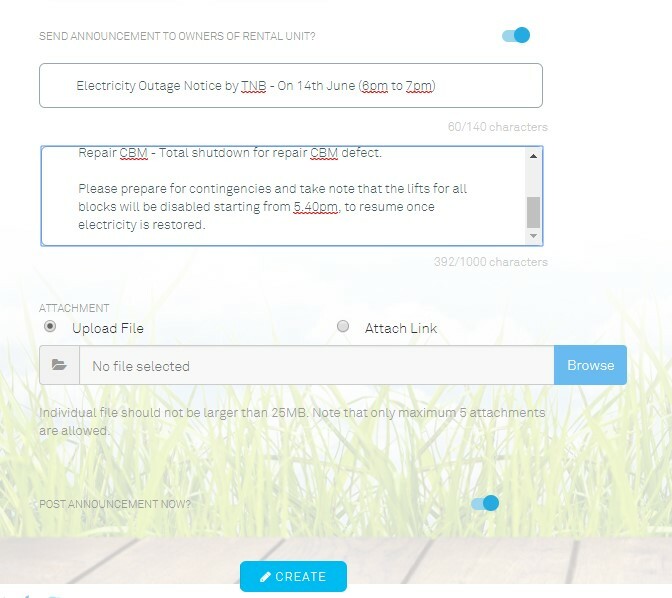 As such, Residents can only view announcements posted by Admin and will not be able to reply. 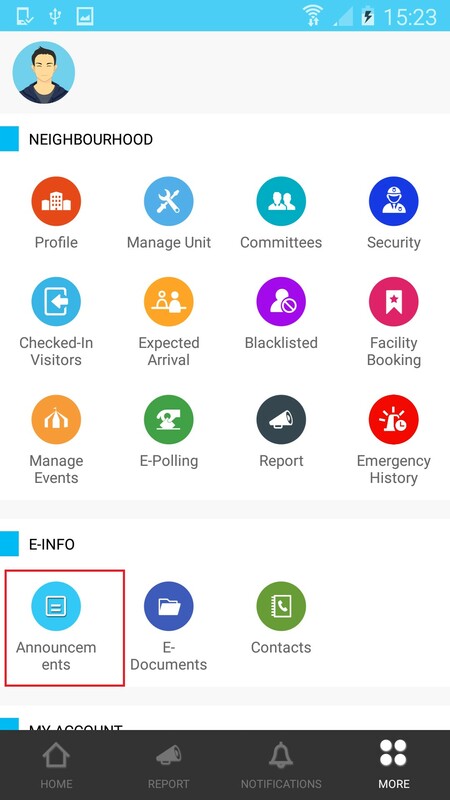 If you have events that require residents to register their participation or need to run general opinion polls, please consider using the Manage Event or E-Polling feature instead. 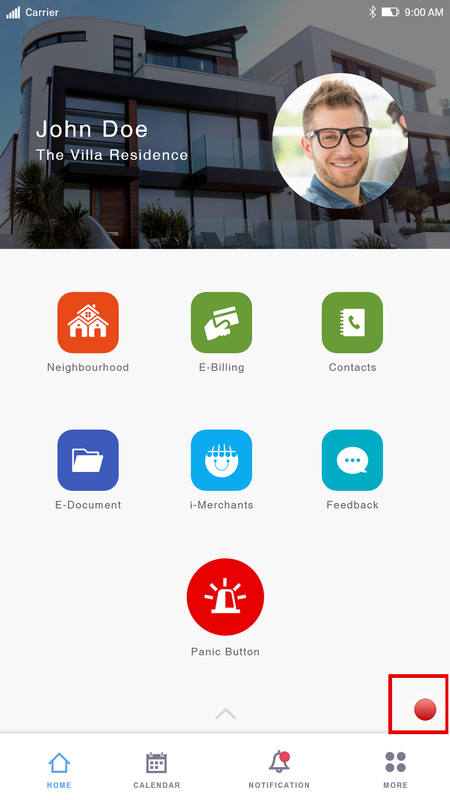 To facilitate discussions, in the future, we will also be adding a private messaging feature in the i-Neighbour app. 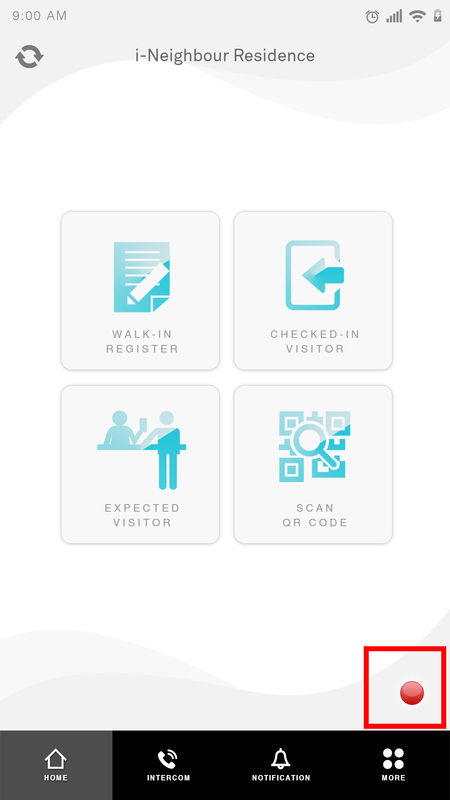 For your convenience, the Announcement module is available on both the web application and mobile app. Please refer to below for a short guide on how Admins can configure this in both platforms. 1. 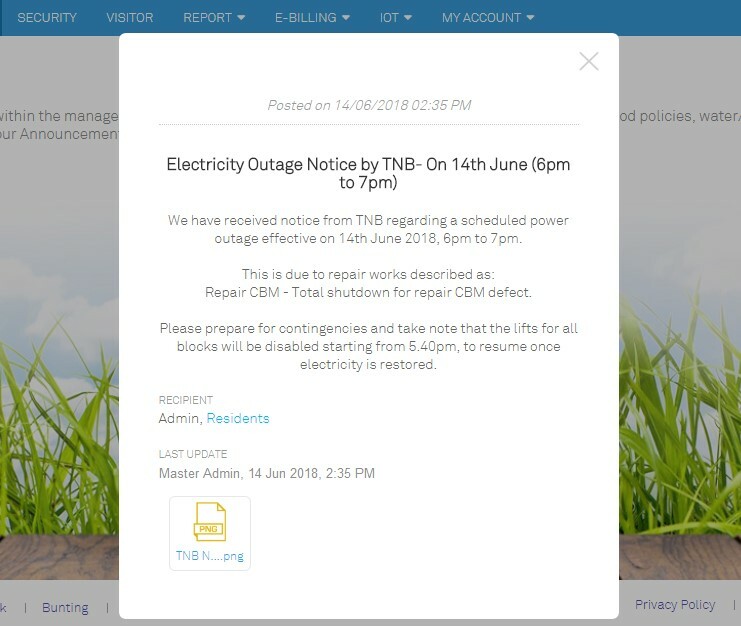 Login to Admin account > Neighbourhood > E-Info > Announcements. 2. To post, click on button to add new announcement. 3. Select the recipients list. 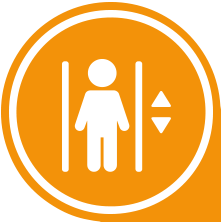 Admin is a compulsory option but you can choose whether to include Committee, Guards and Residents as a category. When chosen, all users under that category will be able to view the announcement in their account. 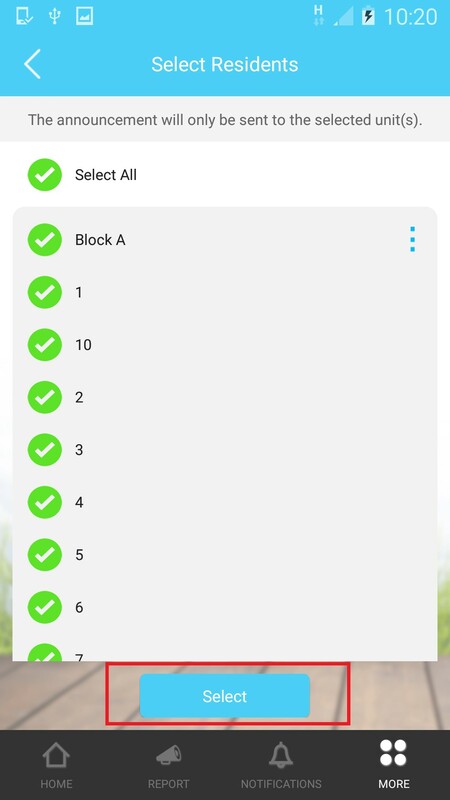 Regardless of which option you choose, you are also allowed to pick the specific level (building block) or street (landed residence) from which the residents will receive your announcement. 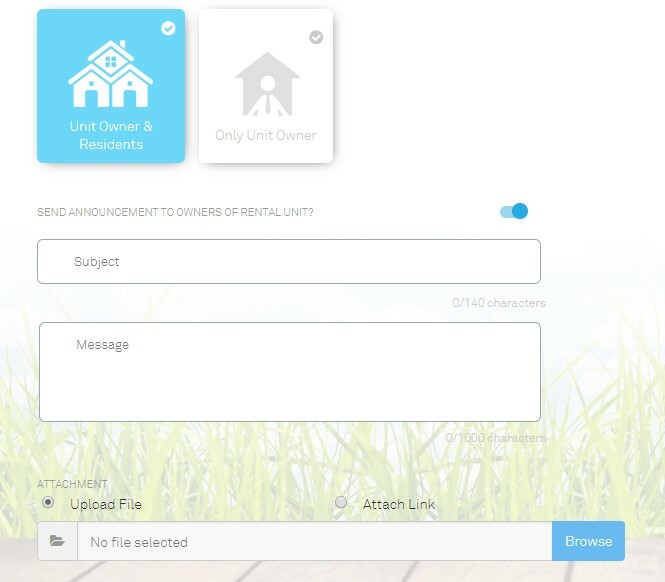 You can also use the toggle button if you prefer to exclude owner of rental units. 4. Insert the subject and message content. 5. 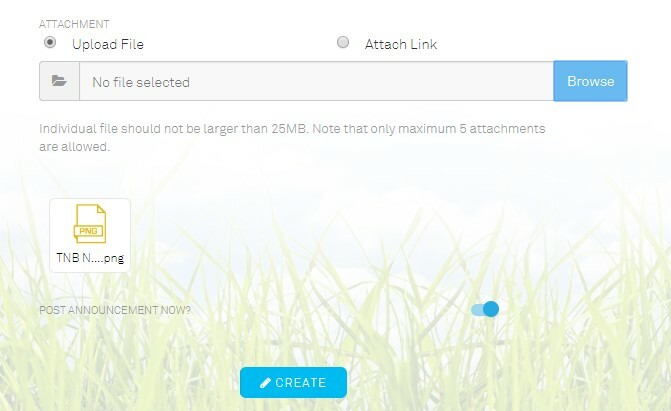 Next, click “Browse” if you wish to upload files as attachment. Otherwise you can click “Attach Link” or even skip this step entirely. a. You are allowed a maximum of 5 attachments. 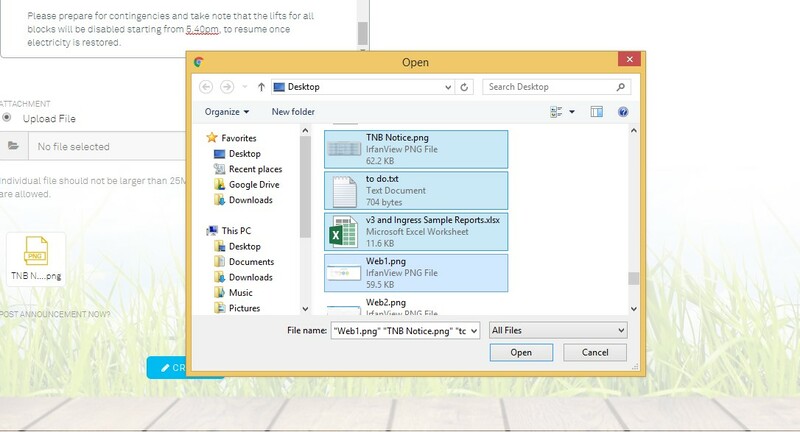 To attach multiple files, add them all at once in the same step. b. The files can be images or documents (File supported: .doc, .docx, .ppt, .pptx, .txtx, .pdf, .xls, .xlsx, .png, .pneg, .jpg, .jpeg, .mov, .mp4). However, each individual file should not be larger than 25MB. 6. Finally, you can opt to post the announcement now or schedule a suitable date and time > click Create. 7. To View, click View button on the posted announcement. a. Only the original publisher have full access rights and is allowed to Edit details or Delete the post at any time. b. When in Edit view, only the Subject, message content and attachments can be revised. The other fields are not editable. 8. 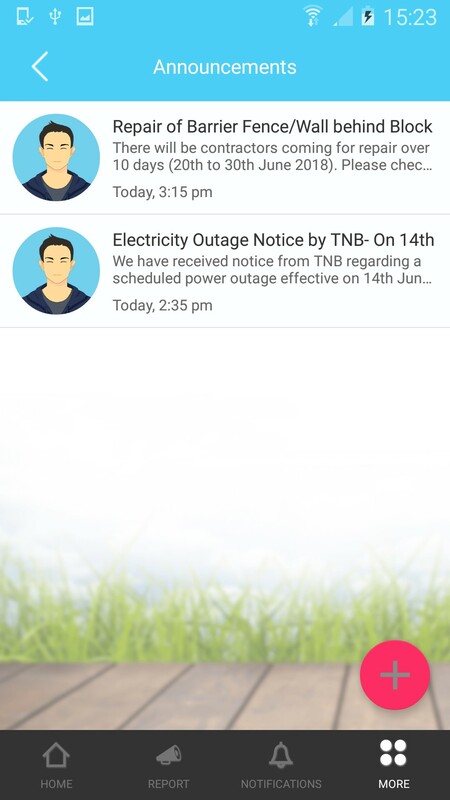 The Announcement can be viewed by intended recipients on both Web and Mobile app. Some examples for Web are shown here. 1. Login to Admin account > More > E-Info > Announcements. 2. To post, tap on button to add new announcement. Select the category of Recipients. 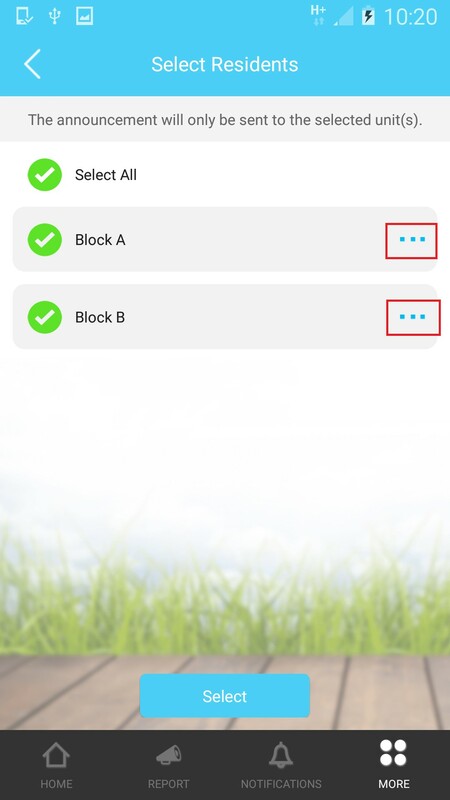 Admin is a compulsory option but you can choose whether to include Committee, Guards and Residents as a category. When chosen, all users under that category will be able to view the announcement in their account. 3. 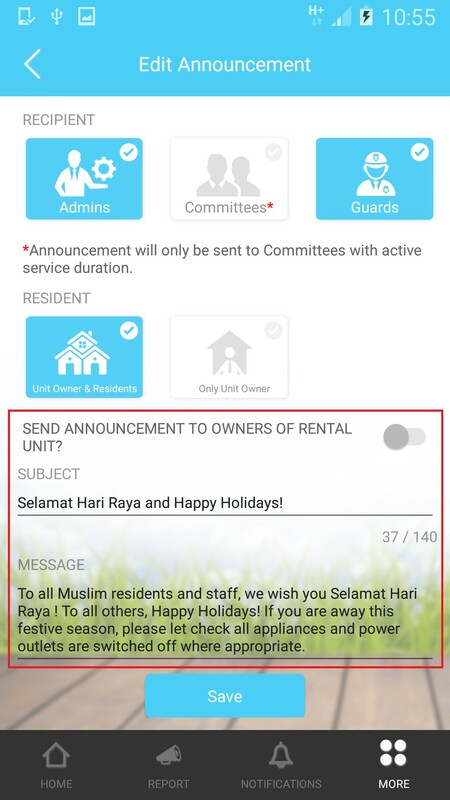 For Resident, you can opt for either “Only Unit Owner” or “Unit Owners & Residents”. 4. Key in the subject and message content. 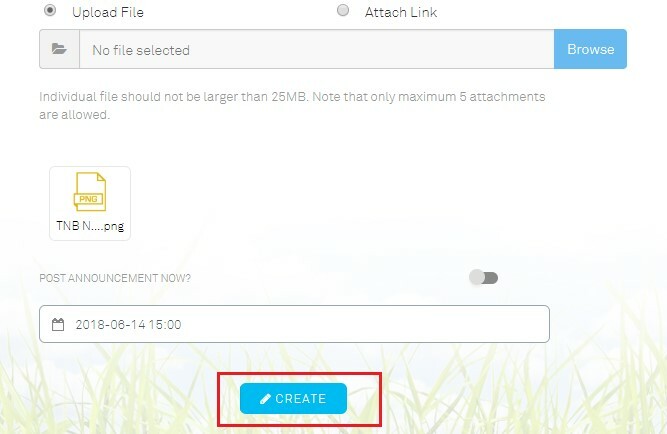 Next, select “+” if you wish to upload files as attachment. Otherwise you can click “Attach Link” or even skip this step entirely. Finally, you can opt to post the announcement now or schedule a suitable date and time > Create. a. You are allowed a maximum of 5 attachments. The files can be images or documents (File supported: .doc, .docx, .ppt, .pptx, .txtx, .pdf, .xls, .xlsx, .png, .pneg, .jpg, .jpeg, .mov, .mp4). However, each individual file should not be larger than 25MB. 5. To View, from the Announcement List, choose your post. You can also Edit or Delete the post. 6.The Announcement can be viewed by intended recipients on both Web and Mobile app. Some examples for Mobile app are shown here. 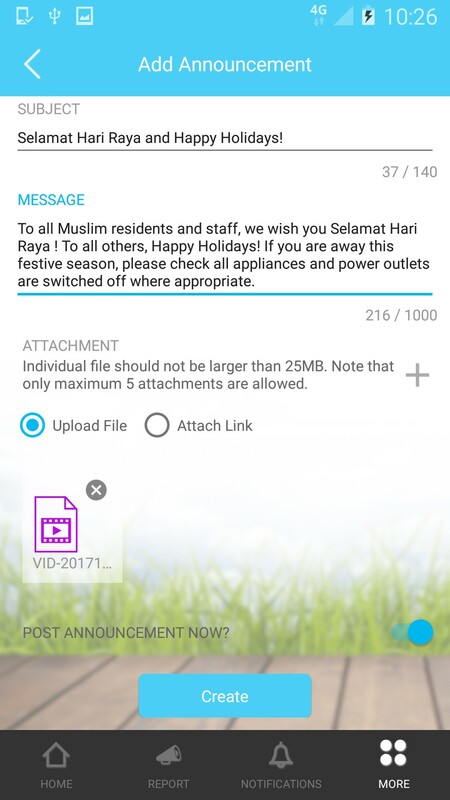 2. Who can make announcement in i-Neighbour? Only management (system admin) can make announcements via i-Neighbour Web Portal and Mobile App. 3. How can the management make an announcement? Announcement can be made either via i-Neighbour Web Portal or the Mobile App. 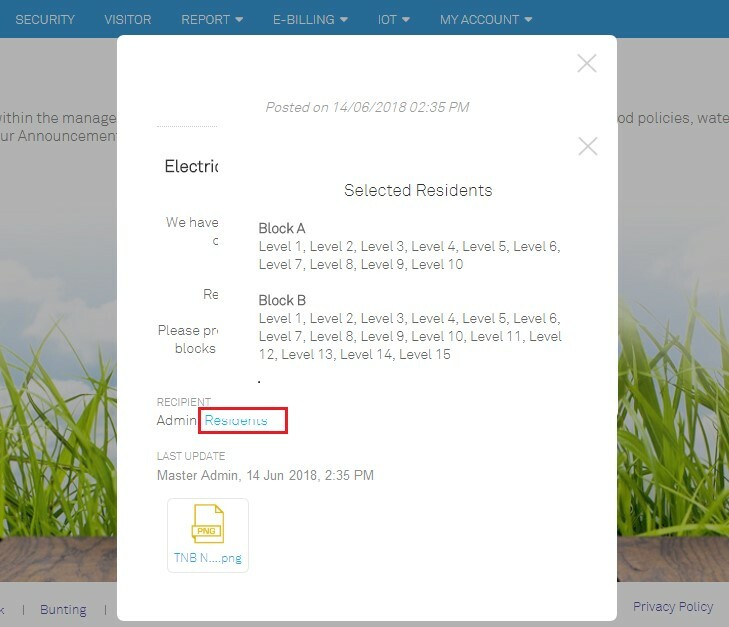 On the web, go to Neighbourhood > E-Info > Announcements > click on Add button. Whereas on the Mobile App, you can go to More > E-Info > Announcements, then tap on the Add icon. 4. 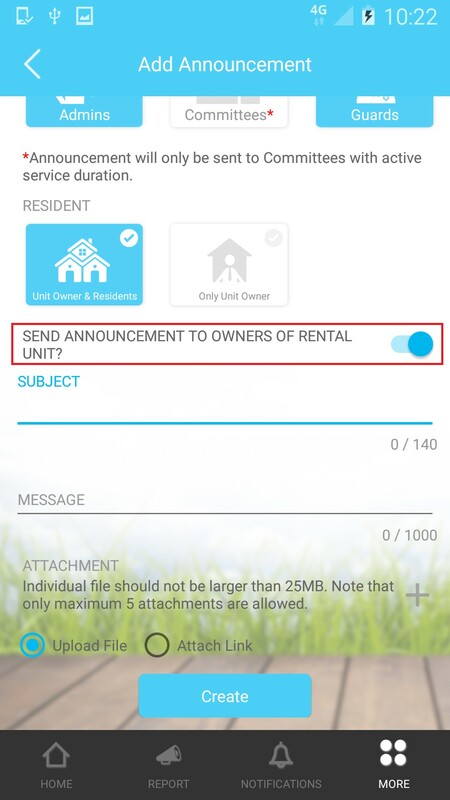 Can images or documents be attached in an announcement? Yes, you can choose to attach multiple (maximum of 5) images and documents (File supported: .doc, .docx, .ppt, .pptx, .txtx, .pdf, .xls, .xlsx, .png, .pneg, .jpg, .jpeg, .mov, .mp4) or even a link into an announcement. However, each individual file should not be larger than 25MB. 5. Can residents share/reply to any ideas in Announcement? No, they can't. 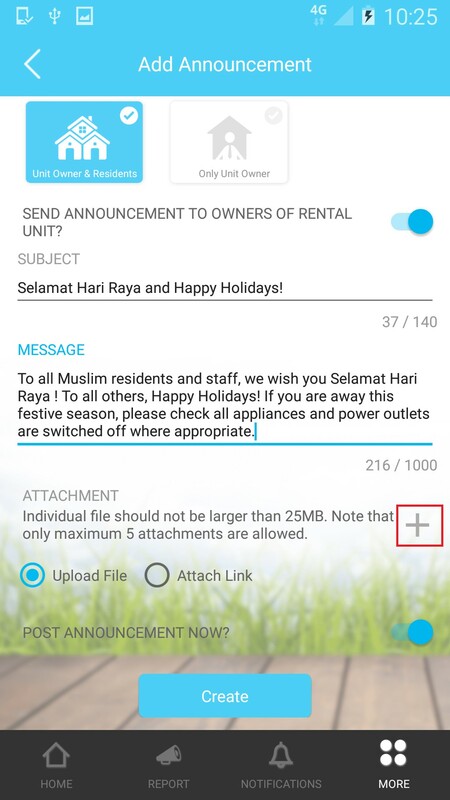 Announcement is a one way communication from management to residents only. 6. Can residents delete outdated announcements? No. 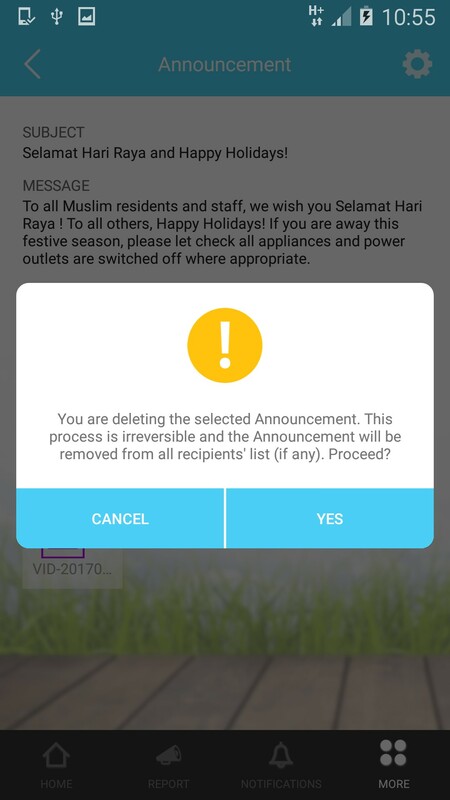 All announcements will be kept for record purposes but if the management thought that some announcements were not relevant anymore, the management could delete the announcement and it would disappear from the residents' view. 7. Can residents post an announcement? 8. 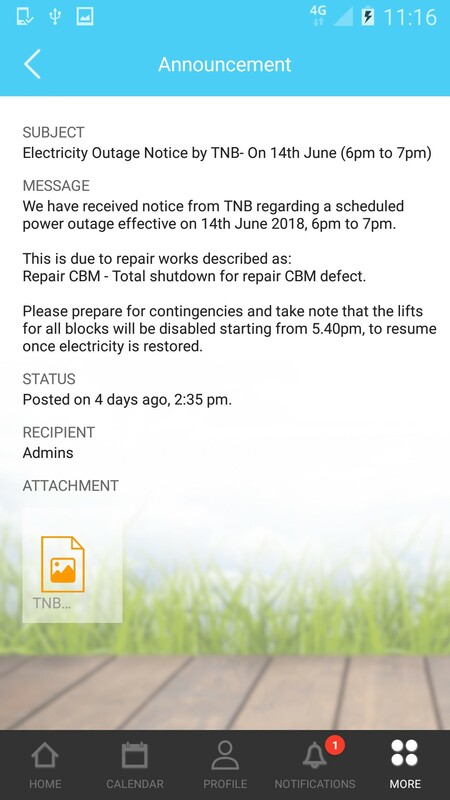 Knowing that only management can post announcement, can the residents do it if it is something very important? 9. 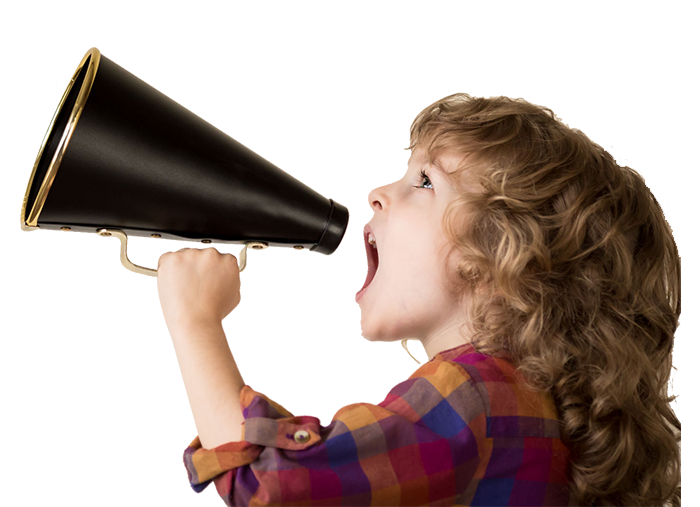 If the residents want to promote their products or services, could they request the management to post it as an announcement? No. 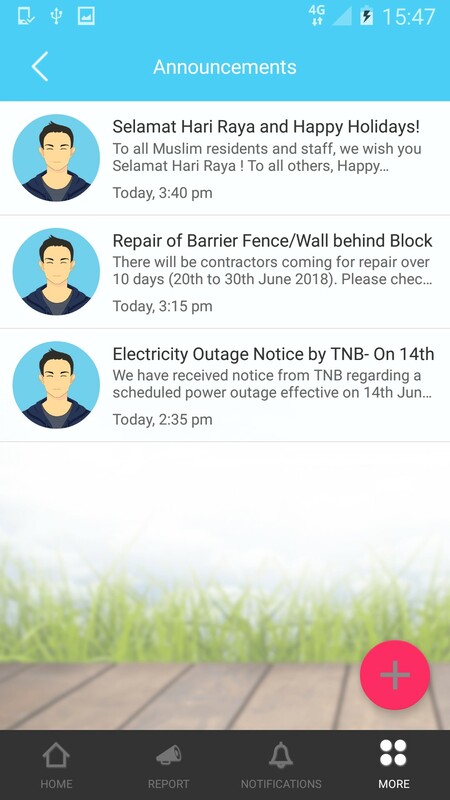 Announcement is for matters related to the neighbourhood's issues only, but the residents can post their product and services in the "Yard Sale" segment of the app for all the residents to view and take interest in. 10. Who can view the announcements posted by the management? This varies depending on the publisher of each announcement as they get to choose which category of recipient is given permission to view the announcement. 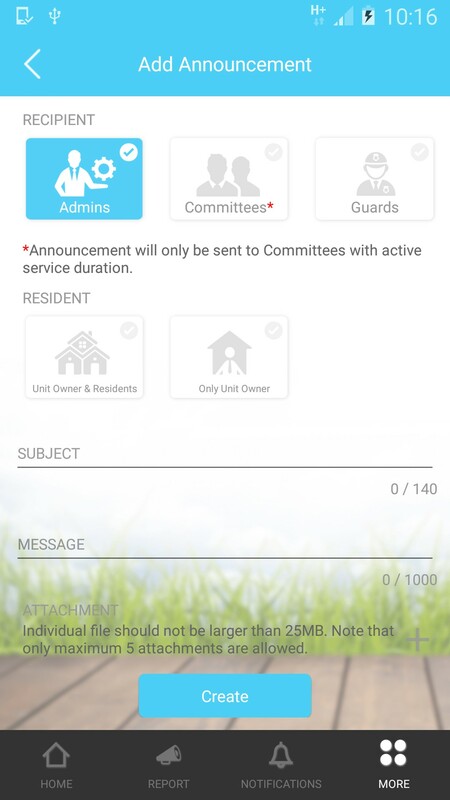 While it's compulsory to select Admins, they can choose whether to include residents, committee and security guards. 11. Can the management publish an announcement to only certain residents? 12. In my Admin account, is there any way that I could view who has read the Announcement? No, due to privacy reasons and because the Announcement feature is intended for sharing general notice and not for official communication, we do not provide a way to track the "read/opened" status in the system. 13. I’ve posted an announcement some time ago and it’s time to update the post with latest information. There’s also some outdated announcements to remove. Can my fellow Admins help me with that? Unfortunately, no, other Admins can’t help to edit or delete your post. 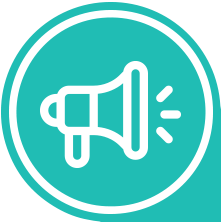 We wish to prevent your post from being accidentally modified or deleted by another Admin, so only the original publisher’s account is given the authority to do so. If you’re handing over duties, perhaps you’ll have to delete the original post and the other Admin can create a new one as replacement..